Members: Mario Aguilar, Marcello Averburg, Jorge Claro, Ruth Connolly, Jaime Estupiñán, Jorge Garcia-Garcia, Peter Lapera, Orlando Mason, Italo Mirkow, Jorge Requena, Alfonso Sanchez, Jairo Sanchez. The Wine: K&L Notes: Delicious as usual, this mouthwatering Vinho Verde is 100% Alvarinho based. A combination of ripe golden stone fruits and fruit cocktail aromas lead to a rich, yellow and gold-fruited palate. Rich and with real flavor authority, the wine still shows loads of freshness and a nicely dry finish, perhaps a bit more so than the ebullient nose might suggest. The grapes are organically grown in the Vinho Verde sub-region of Melgaço and Monçao on granite soils. This expressive, more serious style of Vinho Verde is delicious as an aperitif or accompanied by your favorite grilled fishes and shellfish. The Winery: The Alvarinho grapes used in the Soalheiro came from several small vineyards planted in granite soil between 100 and 200 meters and located in a very particular microclimate. Melgaço region, the northern point of Portugal, is protected by a range of mountains that create the perfect conditions of rainfall, temperature and number of hours of sunshine needed to the better ripeness of the Alvarinho grapes. The brand name – Soalheiro – arises from the excellent sun exposure of the vineyards bearing the same name – a sunny place. The Wine: Beautiful red ruby color. Very elegant aroma, attractive with fresh with mint and and fresh fruit – strawberries and raspberries. Good acidity, crispy, flavors of fresh fruit, mint and cigar. Fine quality tannins. Balanced and persistent. Grape Varieties: 25% Touriga Nacional, 30% Tinta Roriz 20% Alfrocheiro, 15% Jaen 10% Baga. Vinification: Hand-picked grapes. Stalk removal and soft crushing Fermentation in small stainless still tanks for 8 days at 25ºC Aging 10% of the blend in French oak wood casks for 12 months. Light filtration before bottling. The Winery: In 1994, Fontes da Cunha family buys 1,5 hectares of Quinta do Mondego with a very clear objective, a vacation home and end-of-week where the harvest was only seen as a time of fun between family and friends. With the first restructuring of vineyards in 1996, the scenario changes completely and, a year later, is planted the first vineyard. In 2003, with the vineyard already organized and planted, the family meets and makes the first vintage of Touriga Nacional that gave rise to the first MUNDA Red. 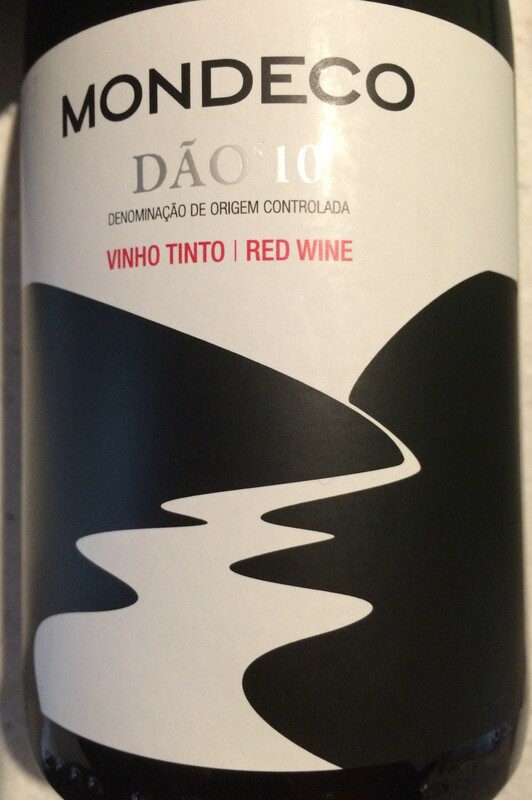 Thus was born the new Dão wine brand that, year after year, has conquered the world. At this time, with a total of 70 hectares, Quinta do Mondego – located in Nelas – is a Family Owned Estate and one of the most important vineyards of this wine region of Portugal. 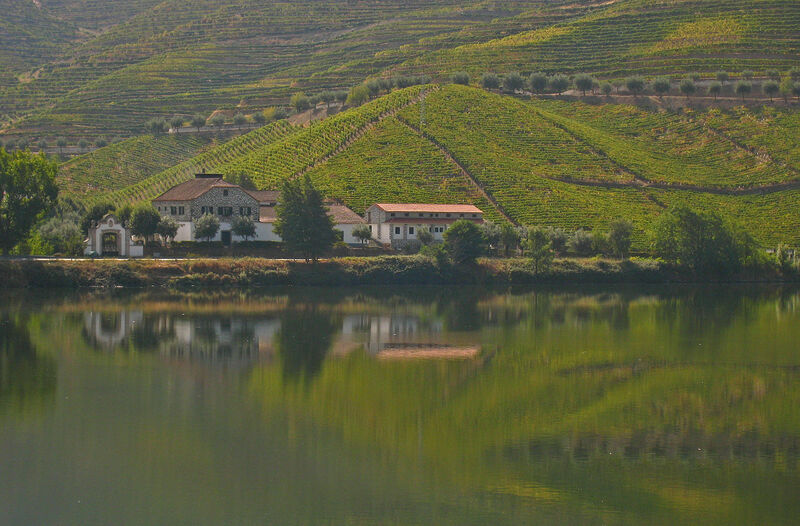 The vineyards of Quinta do Mondego flourish in an idyllic setting on the banks of the river that names the estate – MONDEGO, which result in elegant and traditional wines that embrace the Terroir. The Wine: Tasting notes from the producer: Red fruit aromas combined with “nuances” of wood and spices; In the mouth, the sensations of red fruits are enhanced and combined with soft tannins well present; Has a fresh finish, something mineral, elegant and very complex. It has a great potential for aging. The vineyard planted in Quinta da Bacalhôa finds the ideal “terroir” for the production of excellent wines – red and well drained calcareous clay soils with mild climate due to the strong Atlantic influence. The grapes chosen in Quinta da Bacalhoa are Cabernet Sauvignon and Merlot grapes that benefit from natural conditions for slow and balanced maturation. In 2013, both the Merlot and Cabernet Sauvignon presented to the vintage, very healthy grapes, very ripe, with round and present tannins. The Winery: Bacalhôa Vinhos de Portugal, SA, one of the largest and most innovative wine companies in Portugal, has developed over the years a wide range of wines that has earned it a solid reputation and the preference of national and international consumers. Present in 7 Portuguese winegrowing regions, with a total of 1200 ha of vineyards, 40 farms, 40 different vineyards and 4 vinous centers, the company is distinguished in the market by its size and autonomy by 70% in its own production. Each of the entities that constitute Bacalhôa Vinhos de Portugal, SA – Aliança Vinhos de Portugal, Quinta do Carmo and Quinta dos Loridos – corresponds to a production center with its own characteristics and a heritage with intrinsic cultural value. It is the dynamics generated by the crossing of these various identities. In 1998, Comendador José Berardo became the main shareholder and continued the company’s mission, investing in planting new vineyards, modernizing wineries and acquiring new properties, and started a partnership with the Lafitte Rothschild Group in Quinta do Carmo. In 2007 Bacalhôa became the largest shareholder in the Alliance, one of the most prestigious producers in the categories of high quality sparkling wines, spirits and table wines. The following year, the company bought Quinta do Carmo, thus increasing to 1200ha of vineyards its farm. 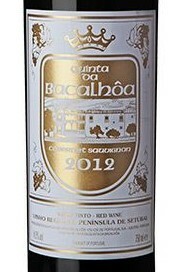 Bacalhôa has wineries in the most important regions of Portugal: Alentejo, Península de Setúbal (Azeitão), Lisbon, Bairrada, Dão and Douro. With a total capacity of 20 million liters, 15,000 oak barrels and an area of vines in production of around 1,200 hectares, Bacalhôa Vinhos de Portugal continues its commitment to innovation in the sector, with a view to the creation of wines that provide Unique and surprising experiences with high quality and consistency. Never forgetting the magnificent natural works. With a total capacity of 20 million liters, 15,000 oak barrels and an area of vines in production of about 1,200 hectares, Bacalhôa Vinhos de Portugal continues its commitment to innovation in the sector, with a view to the creation of wines that provide Unique and surprising experiences with high quality and consistency. Never forgetting the magnificent natural works. With a total capacity of 20 million liters, 15,000 oak barrels and an area of vines in production of about 1,200 hectares, Bacalhôa Vinhos de Portugal continues its commitment to innovation in the sector, with a view to the creation of wines that provide Unique and surprising experiences with high quality and consistency. Winemaker’s Notes: Intense red color with some depth, very complex aroma, which suggested some of the notes are typical of the different varieties of grapes that make up this original lot. Full of vigour in the mouth, long finish. The Winery: In mid 1990’s Campolargo started testing the varieties planted in that meantime (many of which first time attempts in this region). Decision was taken to resume market-oriented wine production and to raise a new cellar. The first Campolargo wines resulted from 2000 crop, although the new cellar was only built in 2004. Nowadays, the business lies in the hands of the third generation with Jorge Campolargo responsible for the vineyards and Carlos Campolargo heading the cellar and sales. Joana Campolargo impersonates the collaboration of the fourth generation ensuring administrative support and external relations. The vineyards are located in two properties: 110 hectareas Quinta de S. Mateus in S. Lourenço do Bairro and 60 hectares, in Arcos, Quinta de Vale de Azar. In this last property, soils are mostly sandy-clay, with small calcareous areas. Sun exposure is mainly South and West. We have planted Baga, Touriga Nacional, Tinta Barroca, Pinot Noir, Trincadeira da Bairrada (periquita) and Cabernet Sauvignon as red varieties. White varieties are Bical, Arinto, Cerceal and Verdelho. 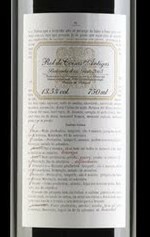 The Wine: Winemaker’s Notes: Offers powerful dark cherry, black fruit and herbal aromas and flavors of depth and complexity. Overall, the wine has a harmonious, authoritative character. Pairs well with robust soft and hard cheeses, desserts made with chocolate, or fresh berries. The Winery: Taylor’s is now into its fourth century: one of the very oldest of the Port companies. It is the last totally independent company of the original British Port houses-and is still family owned and managed. It is run today from Oporto by descendants of the Yeatman and Fladgate families, both of which have been partners in the firm since the 1830s. 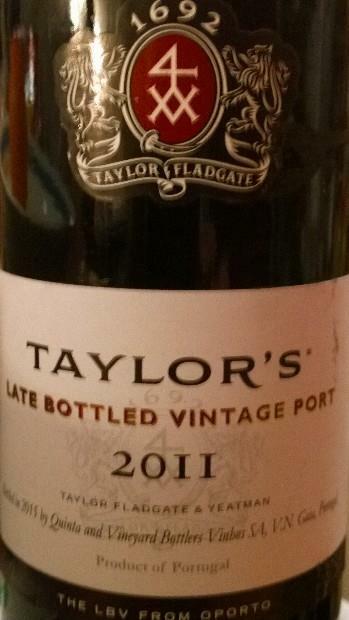 For more than 300 years Taylor’s name has been synonymous with consistent excellence in Port. Best value for Money: 2010 Mondeco Red, Quinta Do Mondego. This entry was posted in Meeting Abstract and tagged Alabariño, Cabernet Sauvignon, Port, Portugal, Tinta Roriz, Touriga Nacional. Bookmark the permalink.